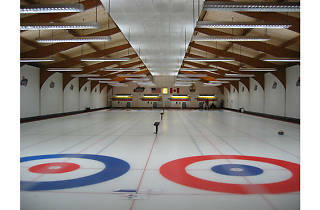 Sweep the competition: Get stoned, grab a broom and polish off some ice. 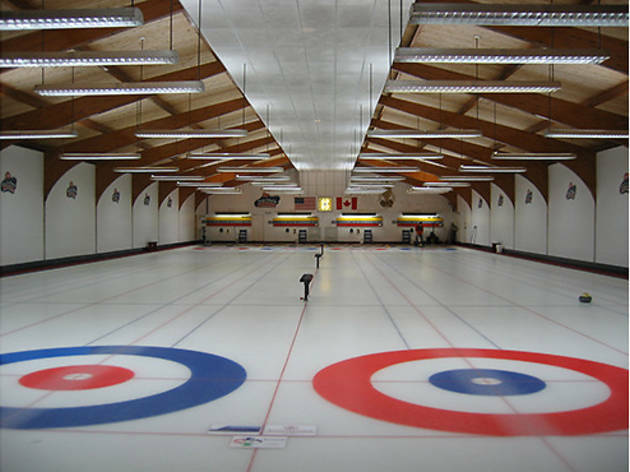 The club offers a two-hour Learn2Curl workshop for $75, which includes a video, a live demonstration, on-ice instruction and refreshments. The basics of the game usually take about 30 minutes to learn. Two four-member teams alternate sliding 42-pound granite “stones” (a smooth, round granite puck with a rubber handle on top) down a 146-foot sheet of ice toward a bull’s-eye target painted under the ice. A curler grabs the stone by its handle, pushes off from a rubber stop affixed at the far end of the sheet and releases the stone about 20 feet in. The remaining team members run out with special push brooms (see “Essential gear” below) and sweep the ice in front of the stone to coax it to hook—or curl—in the desired direction. The object of the game is to have the most stones in the target ring at the end of each of eight innings, and you can knock opponents’ stones out to improve your score.